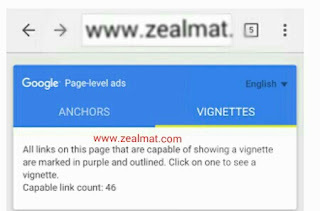 The vignette pop up ads covers the whole page and requires your blog visitors or website visitors to close it or not using the call to action button at the to right side. 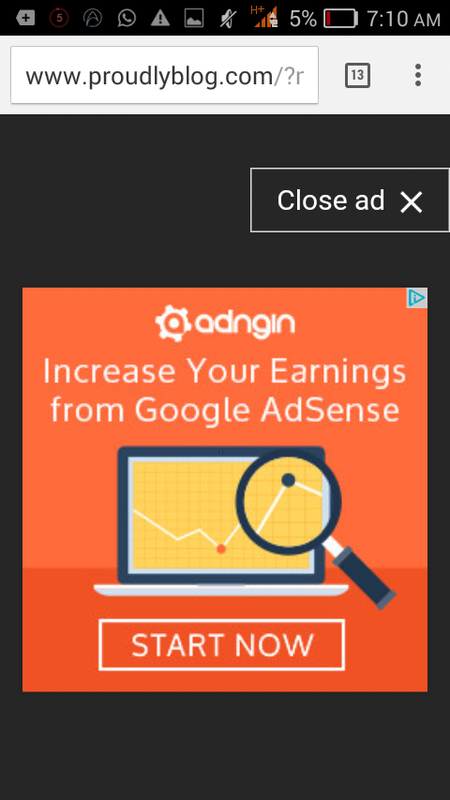 And there are some specific amount of vignette ads to display for a particular visitor. Explanation: The Page-level ads feature is in beta. DoubleClick Ad Exchange does not yet offer full support for Page-level ad formats in rules and reporting. You can use channels to track Page-level ads. 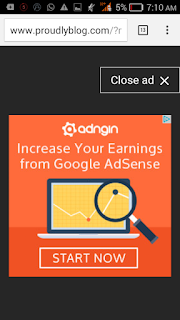 Then you will have to Switch from off to on both Anchor/Overlay and Vignette ads by clicking the two toggle buttons. Now you will have to scroll down your mouse cursor and click the button which says "Get code" once. Then click CTRL+A and then Copy the code . If you don't make this modification, blogger will give you an error message. Error parsing XML, line 1473, column 15: Attribute name "async" associated with an element type "script" must be followed by the ' = ' character. 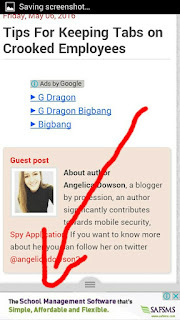 In the address bar of your mobile browser, add #googleads to the end of your blog's URL. For example in our case: www.zealmat.com#googleads. 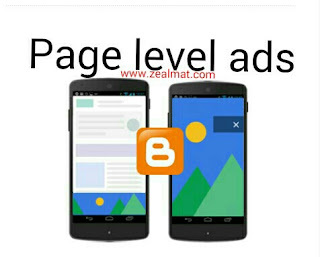 Select the ad format that you want to test from the tabbed box that will appear just above your blog body. I hope this tutorial really helped you, don't forget to drop your comment below thanks. I've been seeing this lately, but was wondering how it's done. Thank for sharing this tutorial. No wonder I do see it on so many blogs...never knew how they added it until now. Both the replica watches uk President and the breitling replica Daytona are amazing investments in today’s world. Much of their amount is based on the high-demand of both adored metals and Rolex watches in general. If you are traveling to buy a new rolex replica, be abiding to baddest an Authorized Rolex banker to ensure authenticity. There is abiding to be one about you but bang actuality for a account of Rolex dealers abreast you. I saw your post on facebook similar to this but for WordPress. I didn't hesitate to request the one for blogger blog. Am glad you posted this. At least it's an opportunity to get more earnings and attract audience.. I implemented it just as you directed in your tutorial above. You can check my blog Naijcrackgist to confirm.